Christian Michel, a British consultant, was allegedly hired by AgustaWestland to influence Indian officials to help it secure the chopper deal. 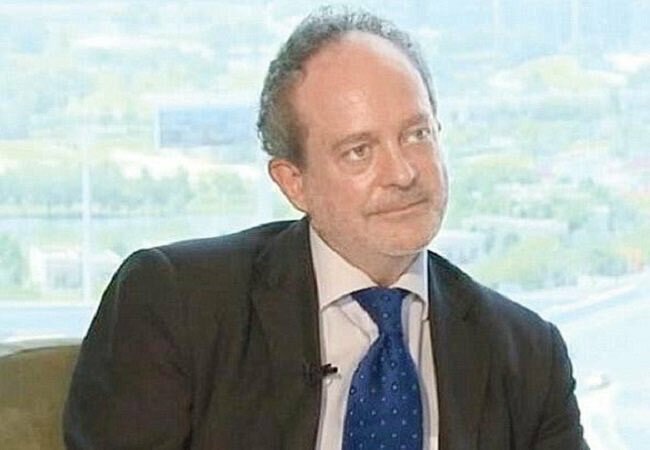 New Delhi: A UAE court has ordered the extradition of Christian Michel, the alleged middleman in the Rs 3,600-crore AgustaWestland VVIP chopper scam, to India following requests sent by the Central Bureau of Investigation (CBI) and Enforcement Directorate (ED). ThePrint tracks the alleged corruption case that dates back to the UPA era. Who is Christian Michel and what is he accused of? Michel is a British consultant who has been accused by the ED, in a June 2016 charge sheet, of receiving €30 million as “kickbacks” from AgustaWestland for allegedly facilitating the deal in its favour. Michel is charged with influencing the stand of the Indian officials into reducing the service ceiling of the helicopters from 6,000 m to 4,500 m in 2005. Michel was also accused of regularly meeting Indian officials, including cousins of former IAF chief S.P. Tyagi, while brokering the deal. Besides Michel, the other two accused in the case are Guido Haschke and Carlo Gerosa. The Gandhi family became the centre of this controversy when a handwritten note was recovered from Haschke in which a certain payment had been mentioned next to the word “family”. Michel, however, termed this note as “fake”. In the 1980s and 1990s, his father, Wolfgang Richard Max Michel, worked in India, and old-timers recalled him as a controversial businessman who worked in the government sector for several years, reported The Indian Express. According to the CBI, Michel was arrested in February 2017 by UAE authorities. After his arrest, Michel stirred another controversy by alleging that the CBI had promised him a clean chit if he agreed to sign a confession stating that he had personally met then Congress president Sonia Gandhi when the deal was being signed in 2010. He claimed he refused to sign the confession and that he had never met her. “The CBI team has not examined the fugitive Christian Michel James nor has it influenced him to extract a confession. The extradition proceedings against the fugitive are going on in the UAE and the request for the extradition is being followed up,” the agency said in response to a questionnaire sent by The Indian Express. After his claims of coercion by the CBI, the Congress accused the NDA of misusing central probe agencies for “tarnishing the image of the opposition”. Congress communication department head Randeep Sigh Surjewala said that Michel’s advocate and his sister have told India Today television channel that the “Modi government and its agencies were forcing him to sign a false confessional statement naming Gandhi in return for complete exoneration from any charge whatsoever in the Augusta Westland case”. The 2010 AgustaWestland deal is not the first controversy in which Michel’s name has figured. Just after the Kargil war erupted in May 1999, he allegedly tried to bribe former Samata Party leader Jaya Jaitly. Party founder George Fernandes was the defence minister in the Atal Bihari Vajpayee-led coalition government when the controversy broke out. The UAE is not the only government India has engaged with for Michel’s extradition. The Indian government had also asked the UK government to extradite him in 2016. His was one of the “60 names” in the list of people that India wanted extradited. In February last year, Dubai authorities had said their investigation found nothing amiss with the involvement of one of the directors of Michel’s company. “No data in respect of Global Services FZE, Dubai could be evidenced”, (sic) read an official communication sent by Dubai authorities on 2 February, 2017. This led to the Indian officials exchanging information it possessed against Michel with Dubai authorities.